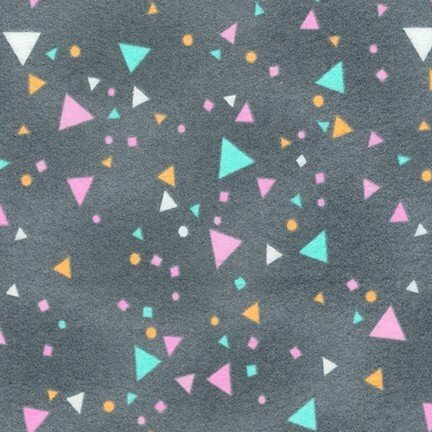 Mottled grey flannel with pink yellow blue and white triangles and circles. From the Cuddly Kittens Flannel 2 collection by Wendy Kendall for Robert Kaufman Fabrics. 100% cotton. 43" wide.